Sales At Ad-A-Print: NEW Port Authority® Pocket Cinch Pack. New Port Authority Pocket Cinch Pack. Comes with 8 by 9 storage pocket in the colors black, blue, orange, lime, raspberry, true navy and true red. 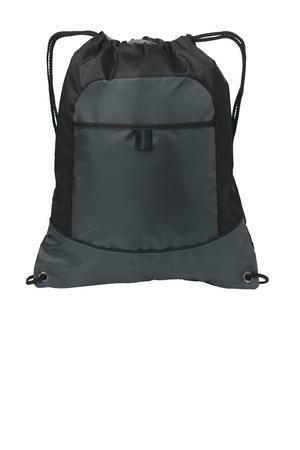 This simple back pack would be great for any track students or track teams. The price of the back pack with a school name embroidered would be $12.90 (prices do vary on the logo and how many stitches the logo would be) If you would like to do screen printing with 2 colors it would be $10.30 for the amount of 20 back packs. If this is something you are interested in please give us a call at 281-353-4646 or email one of our nice representatives at sales@adaprint.com, We look forward to hearing from you!